This men’s event takes place every spring at Bergfried, Eliot Chapel’s 600-acre site near Hermann, Missouri. It is traditionally held on the first full weekend in May, Friday through Sunday. Men gather for a weekend of fellowship, fun, relaxation, spirituality, and community. The group celebrates with a roast pig dinner on Saturday evening. The 2018 Men's Advance takes place May 5-6. For more information, please email mensadvance@eliotchapel.org. Women’s Weekend is a retreat for Eliot members and friends and other UU women. It is a time to relax, have fun, and find community among women. Activities include a variety of workshops, opening and closing ceremonies, Sunday morning service, white elephant sale, BYOB wine tasting, massage, icebreaker games, crafts, hiking trails, dancing, bonfire and songs, along with great food, relaxation and socializing. Visit the Women's Weekend website for more details. Greeters welcome members and friends at each Sunday morning service. They arrive early to offer Orders of Service and hymnals, record attendance and collect the offering. Most important, they welcome people to the service and help them feel at home. This is a great way to meet other members of the community. The Membership/Hospitality Team provides a warm welcome for visitors to the Guest Center in Adams Hall after every service. Member of the team meet as needed with those who are considering membership, assist the lead minister in providing introductory UU classes several times a year, and coordinate periodic new member welcoming ceremonies during Sunday services. The Flower Team delivers and displays one floral arrangement (live or artificial) for each Sunday worship service. The flowers help beautify the Sanctuary, and the team members get to offer their talents in floral design. Flower arrangements can also be a way to celebrate a life, milestone, anniversary or remembrance of a person or event. If you are interested in joining the team or have a Sunday you would like to provide flowers, please contact Carolyn Burke. Better Marriages is a nonprofit & non-religiously affiliated organization. The national group ws founded in 1973 in Winston Salem, NC and the St. Louis chapter was founded in 1983. Their goal is to promote better marriages through enrichment opportunities and resources to strengthen couple relationships, increase intimacy, enhance personal growth, mutual fulfillment and family wellness. They welcome all loving, committed couples who desire to strengthen their relationship. More information can be found at www.bettermarriagesSTL.org. 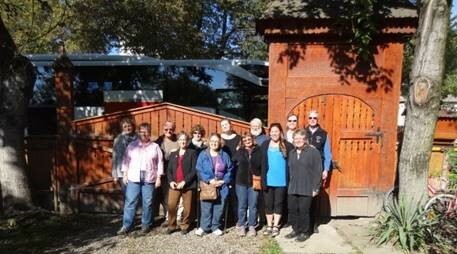 2016 Partner Church Link trip to Romania! Are you planning or working on an Eliot event? Click on the links below for helpful tips and guidelines to ensure a great event. Eliot Chapel is a very active congregation. Getting involved is a great way to spend time with old friends and make new ones. If you are new to Eliot or would just like to get more involved, we have a group for you. Please check the calendar here on the website or in the order of service for meeting times – you will be warmly welcomed. This spiritual curriculum is based on the book Teach Only Love by Dr. Gerald Jampolsky. It is taught via a 10-week series, which is offered at Eliot Chapel 2-3 times a year. Participation in the group requires advance sign-up. Those who complete the series can continue to learn more through monthly meetings held at Eliot. Further information on "Attitudinal Healing" can be located at www.ahstlouis.org. The Bergfried Stewardship Team organizes and coordinates programs and campouts at Eliot Chapel's property called Bergfried, near Hermann, Missouri. The team also attends to the physical needs of the grounds and the cottage. Learn more on the Bergfried page. Join a choir to make some friends, make some music and make a difference! Eliot Chapel has three adult choirs (Eliot Choir, Women’s Chorale & Chapel Singers) which take turns singing in worship services; a children’s choir (Chalice Choir); and a handbell choir (Chalice Chimes). Choirs are directed by Leon Burke and Jan Chamberlin. You can learn more in our "Worship & Music" section under choirs here. This interactive study group meets every Monday evening in Adams Hall from 7:00 to 8:30. Its purpose is to learn about and discuss the principles and everyday application of the spiritual text, A Course in Miracles. This meeting is open to all. Further information on the Course can be found at www.acimstlouis.org. Covenant Groups are small, supportive sharing groups of six to ten people. They are based on attentive listening, acceptance and right relationships. The central feature is a promise we make to one another to build trust, share openly and care for one another in the highs and lows of our individual lives. Covenant Groups are not therapy groups; if a facilitator feels participants would benefit from therapy, the minister will be contacted. In addition to the encouragement of personal growth and spiritual exploration, the Covenant Group promise contains an element of service--in which the group as a whole engages in a project serving the larger community and/or the church. For more infomration, click here or feel free to contact the Covenant Group Development Team at the email below.. The Friday Freethinkers is a lively group that discusses religion, ethics, morality, philosophy, literature, film, and any other topic of interest. Join them any Friday mornings at 9:30 am in Adams Hall for a couple hours of stimulating conversation. Newcomers especially welcome. Eliot’s Library Team maintains the DuBois Library in Adams Hall and the Barbara C. Nutt Children’s Library, next to the Guest Center. The objective of DuBois Library is to contribute to a strong religious community, with a collection focusing on liberal religion and Unitarian Universalism. The Children’s Library supports the needs of religious education program and serves as a resource and fun reading space for our children. Eliot Chapel has maintained a partnership since 1990 with Unitarians in NyardSzentMarton (St. Martin-on-the-River), a rural village in Transylvania, a Hungarian-speaking region of Romania. Eliot’s partner church activities are part of a larger program (www.uupcc.org) affiliated with the UUA that encourages and supports congregational partnerships between North American Unitarians and UUs around the globe. The Partner Church Link spearheads Eliot’s efforts to maintain and deepen the ties between our two congregations. In addition to promoting long-distant friendships and learning about our shared heritage, we also organize pilgrimages to Transylvania (the birthplace of Unitarianism in Europe) and encourage cultural exchange and travel between Eliot and St. Martin members. We are currently organizing a trip for the fall of 2016. The Link welcomes new team members. Meetings are held as needed. See the Eliot calendar or contact Beth Rossow. 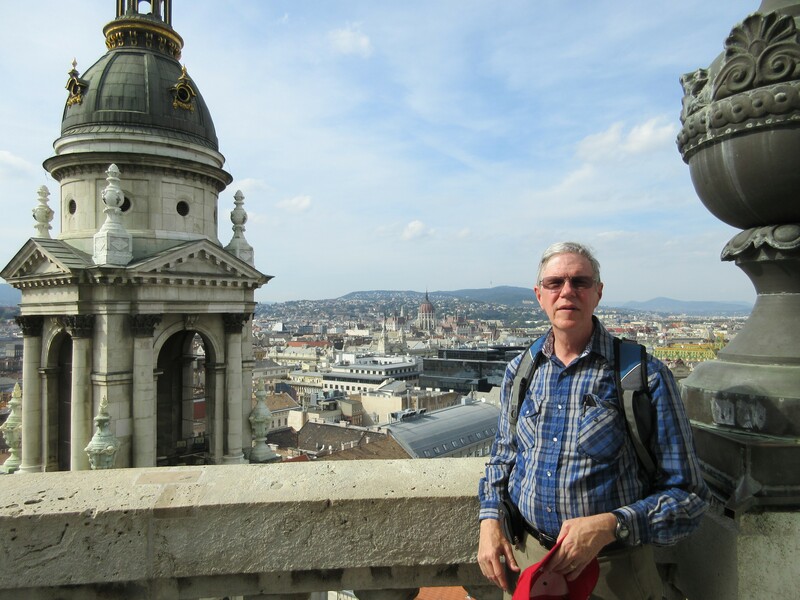 To learn more about Eliot’s Partner Church Link and the support we provide, plus see photos from the 2016 trip to Romania, click here. Room at the Inn (RATI) is a year-round program sponsored by the Sisters of Divine Providence. The program, which involves more than 60 churches in the St. Louis area, provides shelter for up to 20 persons per week. Eliot has been supporting this program by hosting up to 10 people on most Thursday nights since the program's inception in 1992. Eliot provides transportation from the day shelter, a healthy dinner, and a safe, comfy place to sleep. There are many exciting opportunities to get involved with social justice – drop by the Social Justice table in Adams Hall any Sunday or contact the Social Justice team at the email address below. Learn more on the Social Justice page. Women’s Alliance provides the women of Eliot Chapel with an opportunity for fellowship, intellectual stimulation, involvement, and growth. The Alliance seeks, through a variety of programs, to be of service to members, friends, the church, and the community. Meetings are held on the first and third Tuesdays of each month at 9:30 am in Adams Hall to discuss books and provocative topics. On the fourth Tuesday, there is usually an outing to a local destination. All women are welcome.